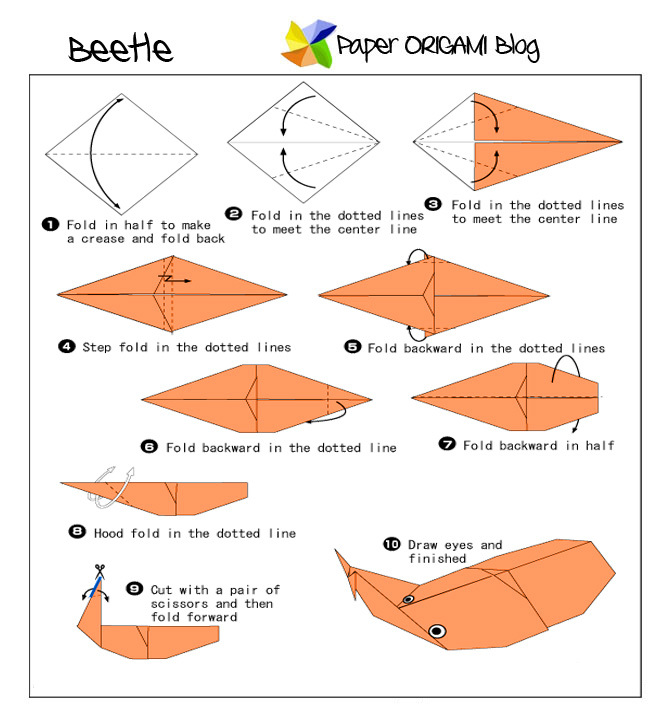 Beetle Origami- Beetle is a kind of bug which have two wings, the word beetle comes from the Greek word "koleos" meaning "sheat". Beetles are so famous even the famous German car manufacturer Volkswagen has type of car. Now, let's make beetle origami out of paper. Look in the diagram below or download it for you offline convenience.